For anyone looking to get “out there” this winter season, backcountry newbies or experienced veterans can plan an overnight on Tennessee Pass, located near Leadville at the base of Ski Cooper. The easy-to-access area features a Nordic center, cookhouse and sleep yurts available for a semi-adventurous and completely comfortable escape. With 19 miles of groomed trails, the Tennessee Pass Nordic Center overlooks the Sawatch Mountains, and offers cross-country skis, snowshoes and fat bikes for rent. After you get your cardio fix, head to the coffee bar—which also serves soups, sandwiches, beer and wine—and spread out on the deck on sun-drenched afternoons or snuggle in by the wood stove on cold days. If you’re planning to stay the night, the sleep yurts are located 1.3 miles from the Nordic center, and rent for $225 a night for up to six guests (with three beds in each). Full linens and down comforters are provided, so there’s no need to bring a sleeping bag. Owners Ty and Roxanne Hall welcome anyone to come up and play here—whether or not they have any Nordic, backcountry or even wilderness experience. Those looking for full service cozy lunch or elegant evening can head a mile from the Nordic center or a third of a mile from the yurts to the Tennessee Pass Cookhouse. 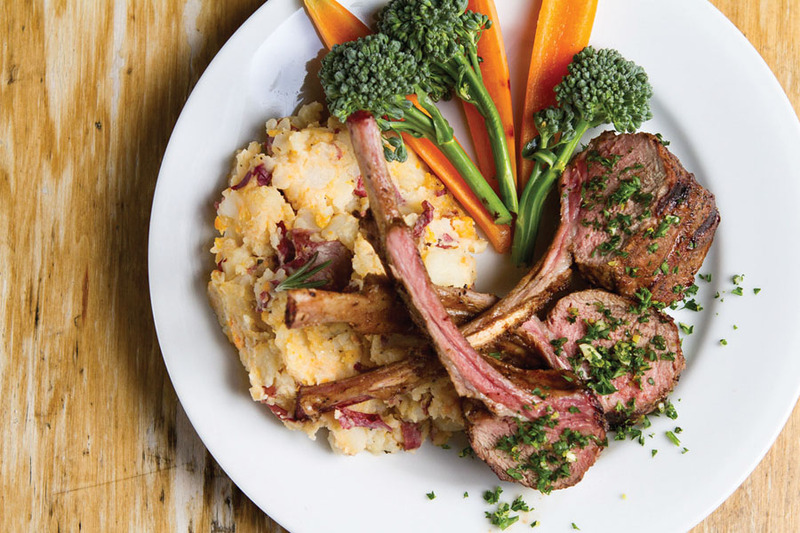 A menu of Colorado cuisine includes appetizers such wild boar sausage, and entrees like elk tenderloin, rack of lamb and rainbow trout. Those who have gear and wilderness know-how will also feel right at home to do their own thing. Ty says many people come and stay who are pretty much self-supported. It’s on! The winter season for the sleep yurts, cookhouse and Nordic center runs seven days a week through mid-April.